Obituary for Kathleen Michelle Rudy | Matthew X Merlin Funeral Home, Inc.
Kathleen Michelle Rudy, 64, of Loyalhanna, died on Friday, February 1, 2019 at her home surrounded by her family. She was born October 23, 1954 in Latrobe a daughter of the late Michael Sr. and Margaret M.(Kelly) Rudy. Prior to retirement Michelle was an LPN Nurse having worked as an EMT for many years, at Walter Reed Hospital, Jeannette Hospital, and Sunny Land Care Home. She was an US Army Reserves Veteran having served during Desert Storm. She spent time training for the military in Honduras, and Germany. Michelle volunteered for St. Vincent DePaul. She enjoyed outdoor activities, loved shopping, and she especially loved each and every one of her nieces and nephews. Besides her parents Michelle is preceded in death husband Glenn Holler. 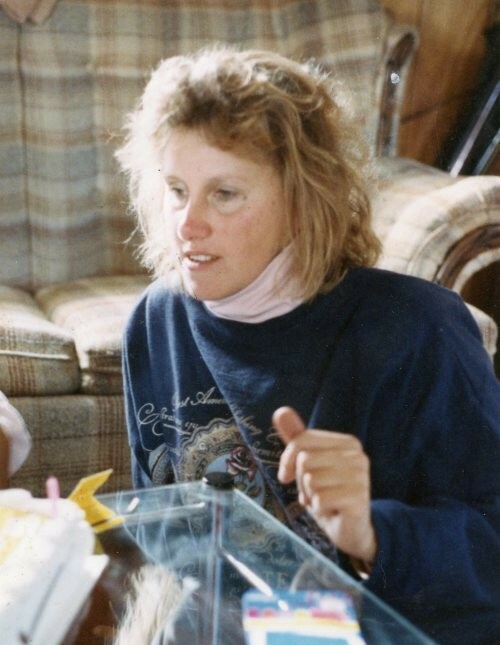 Michelle is survived by her two brothers Michael Rudy Jr. of New Derry and Paul Rudy and wife Catherine (Flowers) of New Alexandria; two sisters Yvonne Akrami and husband Kamran of TX, and Jacqueline Rudy of Bradenville and numerous nieces, nephews, and friends. Family will receive friends for Michelle’s Life Celebration 4-8 PM Tuesday February 5, 2019 in the Matthew X. Merlin Funeral Home, Inc. 529 N. Chestnut St. Derry, PA 724-694-8331. St. Rose Rosary Altar Christian Mothers will recite the Rosary 3:30PM Tuesday in the funeral home. A Mass of Christian Burial will be celebrated at 10AM PM February 6, 2019 at St. Rose Roman Catholic Church with the Father Eric Dinga as Celebrant. Interment will follow in the St. Rose Cemetery. The Blairsville Military Service Group will conduct Military Honors at the cemetery. Online condolences may be made to the www.merlinfuneralhome.com. In lieu of flowers memorial contributions may be made to Alzheimer’s Association 225 N. Michigan Ave. Floor 17 Chicago, IL 60601.